Growing up, certain things always excited us like outdoor games, mom’s cooking and desserts (those were the days of eating guilt-free). Talking of desserts, Vanilla Pudding wins hands-down. On National Vanilla Pudding Day, let us talk more about this good old, heaven sent yumminess. 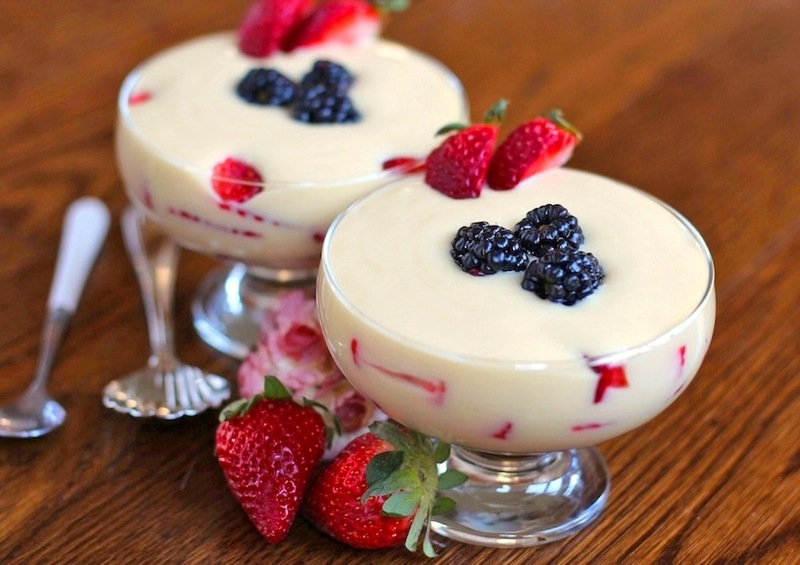 Blancmange, is vanilla pudding’s ancestor or (we can say) the French version. It’s main ingredients include milk or cream, gelatin, sugar, cornstarch or Irish moss, and almonds. It is one of those dessert dishes where foodies continue to experiment with and make different versions of. While not entirely in Vanilla Pudding’s Family, Cathedral Window Gelatin is almost close to it. With Summer already knocking on our doors, Vanilla Pudding smoothies and popsicles can be perfect twists to this great dessert. Happy Sunny and Sweet Friday, folks! < Previous C is for? !